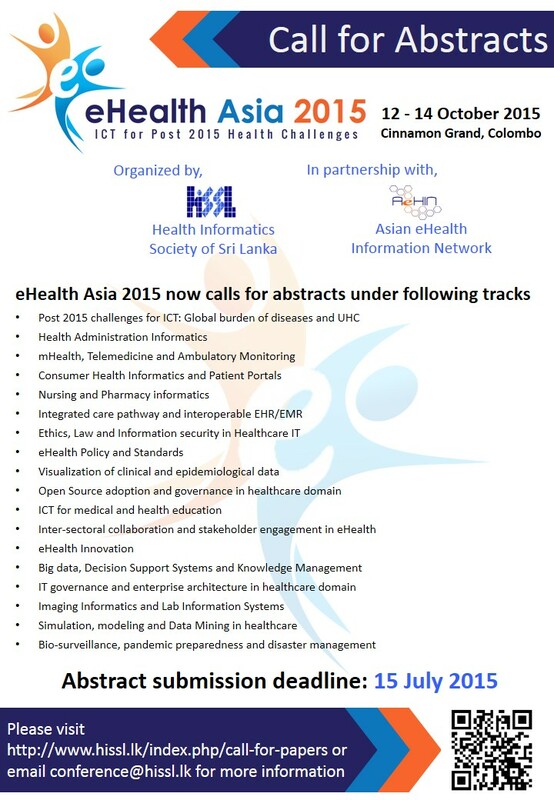 The first conference in the series will be held in Colombo from October 12 – 14, 2015 on the theme ‘ICT for Post 2015 Challenges‘. The conference brings together Sri Lankan, regional and international eHealth experts, policy makers, practitioners and business solution providers. 300 delegates are expected to attend the conference. The conference partners will include the Asian eHealth Information Network, The Global HISP Network, and the Commonwealth Medical Association.